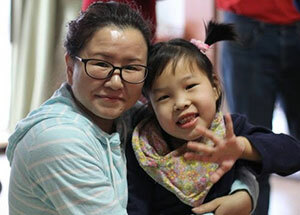 New Day Foster Home’s work in Inner Mongolia began almost a decade ago with the first children from the capital city of Hohhot, who came to New Day in Beijing for live-saving surgeries and life-changing therapy. 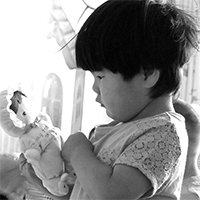 We expanded that outreach over the years, bringing children from the Inner Mongolian cities of Hohhot, Baotou, Ulanqab, and others to our Beijing location. 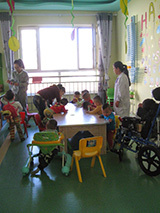 Since 2006, we have also partnered to help children living in the Hohhot orphanage through the formula project and a staff therapist working within the orphanage. Now, through the creation of the New Day North project, New Day will be able to expand these activities, with the eventual goal of a residential facility for special need orphans in Inner Mongolia. We’re dreaming big! Please check back at this site as we update the progress of our plans. New Day North, our group of projects in Inner Mongolia, is celebrating the amazing changes in the lives of our children in 2017, and is looking forward to some big opportunities in 2018! The special focus of New Day North is orphaned children with long-term developmental needs, like cerebral palsy and Down Syndrome. The vision for helping these children includes two key parts - Transformation Centers, operating within government orphanages in close cooperation with the orphanage staff and leadership, and a Training Center, located in the capital city, where specialists train local coaches who coordinate the transformation centers, and provide coaching for the nannies. The first Transformation Center opened in 2014 and has been the home for over 20 very special children, six of whom have already been adopted into forever families! One child who has experienced an amazing transformation at that Center is Rina. With a unique type of neurological disorder that makes progress slow and challenging, Rina has worked hard under the love and care of her amazing nannies and their coaches. Her abilities have grown and her personality has blossomed! 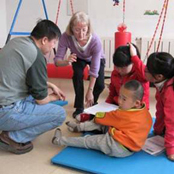 The Training Center, opened in 2015, is both home for three special children, and the center for training three coaches and many nannies from all over Inner Mongolia. In 2017, through the training of our support team of visiting Speech-Language Pathologists, coaches Lydia and Abigail are learning how to use and coach nannies in using Augmentative and Alternative Communication (AAC), which is already helping children like Frank, who have significant communication challenges, to get a “voice” of their own! Thank you so much for standing with New Day North in 2017! 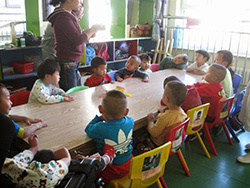 2018 looks like a year of amazing opportunities for New Day North, as plans are underway to expand to a total of THREE Transformation Centers in orphanages in three different cities in Inner Mongolia. Please feel free to "spread the word" about New Day North with anyone you think may be interested. We are especially looking for more child sponsors for the children at New Day North, all fifteen of whom still need additional monthly sponsors. Subscribe to the New Day North Newsletter or follow the facebook page to stay informed about exciting new opportunities ahead! 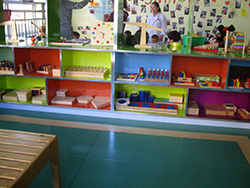 This work is centered around providing for the day-to-day physical, emotional and developmental needs of the children. But always in the back of our minds, as therapists are being trained and the nannies are being encouraged, is the hope that each one of the kids will soon be matched with an adoptive family of their own one day soon. It's our hope that each of the little ones will soon be matched with adoptive families, and that they will be well prepared for adoption. And so, it is with so much joy that we announce to you that within the last two months not one, not two, but THREE little ones have been matched with adoptive families. Timothy, Hannah and Luke each have families working hard to bring them home - and Hannah's English name is going to be Selah, and Luke will be named Levi. The adoption process takes a long time, and we have no control in it, but we hope that Timothy and Hannah and Luke will not have to wait too much longer until their new families bring them home. In the meantime, the staff and nannies will continue to pour into these precious children and prepare them for their next, and last, huge transition. Speaking of Levi/Luke, you can read more about how this young man has been growing and maturing lately here! Ruby and Clara have been improving and growing daily since their surgeries earlier this year! Neither of their life-saving operations have been fully funded yet - would you like to help? 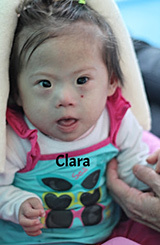 To make a tax-deductible donation towards Ruby's surgery, click HERE, for Clara, click HERE. Sponsors of the children in our care contribute just $35/month, and receive monthly updates and pictures of their sponsored child. Child sponsors enable us to pay the salaries of our caregivers, and provide excellent care for the children in our project. We need more sponsors! Currently we have less than half of the sponsors needed to fully fund our project, and would love to invite new sponsors to partner with us to give these children all of the tender loving care, therapy and nutrition they need to reach their full potentials. Interested in sponsoring? All of the information you need is RIGHT HERE. Clara had heart surgery over three months ago, but has struggled with complications ever since her operation. At one point she even had to be admitted into ICU for care! 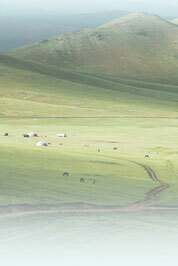 She's now doing much better now, and on May 11th returned to Inner Mongolia. We're so happy to have her back, and look forward to helping her slowly gain strength. Ruby had GI surgery April 18th and spent a month at New Day Beijing after being released from the hospital. She's stable now, and starting to regain the weight she lost during surgery, so she returned to Inner Mongolia last week! You can keep our little gem in your thoughts as she continues to recover from her operation and as our medical team and the nannies work to keep her nourished and comfortable. We're so thankful for all of you who sponsor our children monthly and help to cover the little one's hospital bills. We couldn't do this without you. Thank you! When Ruby arrived into our care she was a very sick little girl. Thanks to the amazing care of the orphanage medical staff and our nannies, she stabilized and we began to hope that she would soon begin to grow strong and healthy. This was not to be. Over the last few weeks, Ruby stopped making progress and began to lose weight. 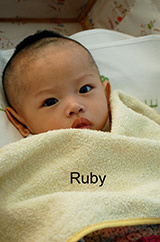 Having already exhausted all ideas to help her thrive, we admitted Ruby into a hospital in Beijing on April 15th. 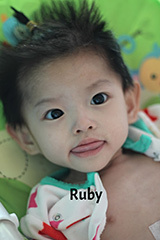 The doctors did some tests and spent a day observing Ruby, and determined that surgery was the next option for her care. Ruby's surgery was scheduled for Saturday morning, the 18th, and took five hours. It went well, and Ruby is still in the hospital recovering. We hope that this operation will be the answer to her issues, and that she will be able to grow strong and gain weight soon. We will be posting updates on our facebook page, so you can keep up to date with her situation there. Guess just who just started walking? Luke! He's gone from a hesitant walker to a fearless walker... which keeps his nannies on high alert, afraid that he's going to fall into something. His favorite things these days are noise and speed. Sponsor Luke here! Freddy has many new accomplishments these days. He's decided that his likes rice and veggies better than his bottle, he can sign, "more" and he's making more and more sounds. Our little guy is growing up! 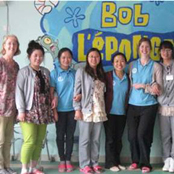 Last week we welcomed a team of speech therapists to the orphanage. They gave our nannies activity-time suggestions, and shared some feeding tips and ideas to help the children in our care make speech and language progress. We were also able to offer their services to some of the other children residing at the orphanage. Thank you ladies for coming! We have a new team member! 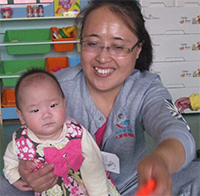 Please join us in welcoming Rita, a pediatrician, who also lives here in Hohhot. She will not only be joining us on visits to the orphanage to help us keep the children in our care healthy, but will also help the orphanage's medical staff keep up with their challenging needs. We're so thankful for Rita's support. 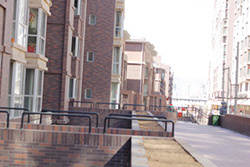 It's so exiting to announce that we have recently rented an apartment in the City of Hohhot, Inner Mongolia. This apartment will soon be the home for up to six little ones, and the center of inspiration and training for local staff who have a heart to care for orphans in the capacity of therapy, special education and medicine. We are thankful for tiny Ruby, and that as the weeks go by and she grows little by little, her hope for the future shines brighter. 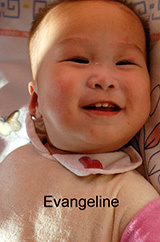 We are thankful for Evangeline. She has a smile that lights up the room, and we're excited to watch her begin to reach her full potential. The NDN project expanded significantly this month. 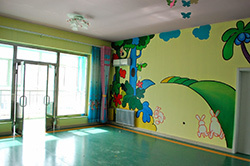 The orphanage graciously offered a new set of rooms on the second floor of the orphanage, including two bedrooms, two bathrooms, and a large activity room. Six new nannies have also joined the team caring for the children, and they are working hard to understand the needs of the children. The new children arrivals are Stephanie, Emerson, Rina, Clara, Alfred and Evangeline. Expanding has been challenging, but we are grateful for the opportunity to cooperate with this orphanage to help make a substantial impact in the lives of these children. Therapists came from Shanghai came again. A team of therapists from Olivia's Place came for the second time to help train our staff and nannies in therapy and daily-life activities we can do with our children to help them make progress and reach their full potential. 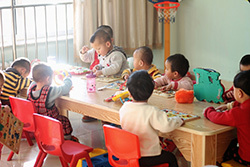 Liangqing, director of therapy at the orphanage, shared afterwards, "With this kind of energy... this kind of team... this kind of management.... NOT making progress will be difficult." Indeed, despite the challenges, we believe that with the cooperation of skilled volunteers like these, our enthusiastic orphanage partners, and the support of people like you around the world, it will be hard not to see wonderful progress in the lives of these children. Thank you! When we first started working with one particular orphanage they were eager for many things. They were eager for supplies, resources, staff, materials, training... and most importantly, inspiration. Running a Children's Welfare Institution is rough work. They never know when a child will arrive, left at the front gate or carried in by a policeman. They have no control over what types of children are admitted into the orphanage, how many arrive during a given time, or how much care the children will require. It's an overwhelming position to be in. New Day can do many things. We can supply formula for the littlest babies to ensure that they are receiving proper nutrition. We can weigh and measure the babies each month and help the staff come up with action-plans to help the little ones thrive. We can bring in therapists to train their therapists, we can donate equipment, assessments and orthotics. 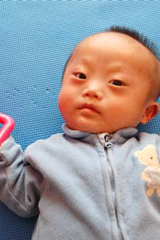 We can gather donations of warm baby clothes, specialty bottles, developmental toys and books. We can arrange for medical treatment and surgeries. And although we are doing all of the things listed above, none of them is the most important. Not one of them is enough. With just the practical helps we can only do so much. There is one thing that really ranks above and beyond all of the hands-on ways we help this orphanage, and that is inspiration. It's hard to put into words just how impactful New Day's inspiration has been on the orphanage. At the same time New Day North was founded near this CWI, the CWI sent some of their staff to New Day's Beijing campus for training. I still remember clearly one of the nanny managers asking me back in August, "Just send me the links of things that we need to buy. We want to change this place and make it better for the children." Would they do it? Would they actually make big changes? They sure did. It had something to do with us encouraging them to get the babies out of their cribs and on the floor or in rockers play. It had something to do with our confused eyes when we asked, "do you have any toys for them?" and the nanny shook her head. But it had everything to do with inspiration. ...now they spend their days tucked warmly into bouncy seats, looking at colorful walls and toys. the rooms used to be plain, sunny, yet cold. Now murals are painted on every wall. It's a way for community artists to give back, and for the orphanage to brighten. Notice the ceiling lights? New Day has fun-shaped lights in the Beijing foster home, and the orphanage was convinced that they needed creative fixtures as well. Before there was one green ball to play with, and the toddlers spend their days in cribs, fighting over whatever toy somehow appeared. Before, the children with cerebral palsy had no options but to stay in bed or lay on the floor. Now they are moved to positioning chairs and the staff try to include them in daily activities. Before, the staff knew that they were missing something. They knew that there was so much more that they could be doing for the children. Thanks to New Day's big inspiration, big changes have happened in this orphanage. Timothy was diagnosed with a few heart defects back in February. Recently, a visiting pediatrician recommended that it would be best for him to have his operation before he turned a year old. 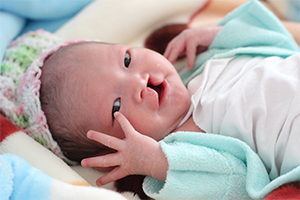 Children with Down Syndrome have a 50% chance of having heart defects, and many of those defects can have quite devastating consequences if not operated on in time. 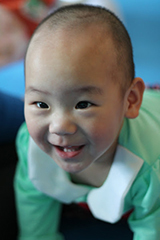 We arranged with New Day in Beijing to have Timothy transferred down there for a time, in order to get pre-op testing and surgery at one of the hospitals in Beijing. 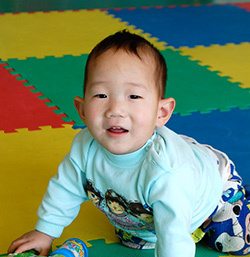 While New Day Beijing is handling the logistics of scheduling Timothy's surgery, we at New Day North are responsible for providing the funding. We are so excited that we have already raised all of the funds that will be needed for his operation. Right now Timothy is just waiting for a spot to open up at the hospital. We will keep you updated! Margie is a professional therapist, and she and some of our NDN staff visited a local therapy center for children and their families. The team was able to provide two days of training and hands-on guidance for the children and staff. 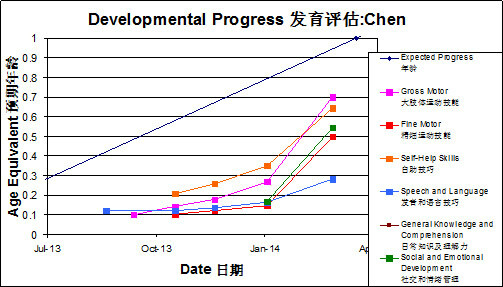 We hope that our relationship with the therapy center will grow, as we can see the potential for many good things. It's growing time again for New Day North! At the end of this month we interviewed a group of women and they will begin training in Beijing on the 15th of September. After their two-week training we plan to open up another room in the orphanage and care for up to six new children. We were impressed with the nannies we hired and cannot wait to see them working with the children. We met baby Leon the day he arrived at the orphanage, a tiny newborn baby. Because of his ENT defect, Leon struggled to eat enough to grow. When we saw him again two weeks later, still so tiny and not growing, we contacted New Day Beijing to see if we could transfer him to them for some more intensive medical and nutritional treatment. 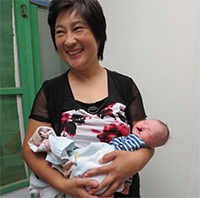 A retired nanny in Beijing was willing to help little Leon, and he was transferred into her care for TLC and specialized feeding August 27th. In just a little over a week Leon has already gained .4kg (nearly a pound). 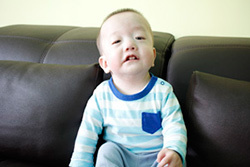 We hope that he will continue to grow big and strong in preparation for his ENT surgeries. Don't we have the most precious children? This month we have rejoiced with them as they grew and made progress and soaked up lots of love from our nannies. A donation that made a huge difference. A Day in the Life of Kristiana. Philip's Big News! Look at Luke! 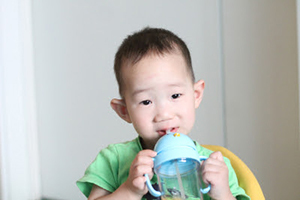 Two weeks ago the orphanage received some really exciting news... Philip is matched with a family! This means that his adoption paperwork has been completed and a family has chosen him to be their son. We don't know when the family will travel to bring him home, but we hope that he doesn't have to wait too long. Luke doesn't have to wear the "boots and bar" for his orthopedic defect 23 hours a day anymore (he still wears them, just not as regularly as before). This means that he can start learning how to stand, how to walk, and how to get into mischief even faster than before. Look out! Luke's on the move again. Thank you "ACT for Justice"! What's more exciting than presents? Not much, especially when you're a kid... or a caregiver. When the huge boxes of clothes and toys arrived at our apartment in Inner Mongolia we were overwhelmed with excitement and gratitude. An organization in North Carolina collected donations for the orphanage, each family chosing a specific child to shop for. The orphanage couldn't believe that we had a new outfit for each child. "The clothes are so suitable for them!" they said. We'll be sharing more pictures of the exciting delivery on our facebook page and blog soon, so stay tuned! Our newest arrival... Meet Kristina! Children's day, June 1st, we chatted with the orphanage directors about which child they felt would be a good fit to add to our project. We had just interviewed another nanny to join our team and so we felt comfortable increasing the number of children in our room from four to five. 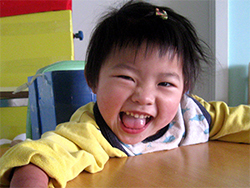 Kristiana had only been at the orphanage since April, after being abandoned as a four year-old. As you can imagine, she arrived traumatized and was not doing well when the orphanage suggested that we add her to our program. She was sad, thin and weak. When we asked about two children they said, "Kristiana is too skinny... she (the other baby we were asking about) is eating well. How about Kristiana?" We sat down with our nannies before Kristiana arrived and talked about how to best care for her. After Kristiana joined our room, our amazing shift leader Anna began guiding the rest of the team in a very wise plan to help Kristiana adjust to the new enviroment and to start receiving love. Not surprisingly, it didn't take very long for Kristiana to be perfectly happy in her new enviroment. It's been a month of living in our room and getting daily love from our wonderful nannies, the transformation has been lovely. Just look at the picture above! A new nanny... Meet Garland! Garland (LiXaio) joined our team this month after two weeks of training in Beijing. She has a son who is in middle school and was once the classmate of the director of the orphanage! She is a very sweet woman who is learning the ropes of being a nanny and we look forward to watching the impact that her love makes in the lives of the little ones. 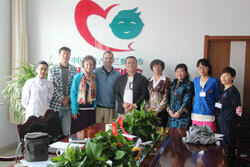 What a blessing to have Dr. Jean and a small medical team from the US visit us up here in Inner Mongolia. Not only did she do medical checks on the children in our care, but she also advised the orphanage's medical staff on many of their more challenging cases. She passed on a lot of wisdom and we know that the orphanage appreciated it. You can read more about her visit and see more pictures here on our blog. 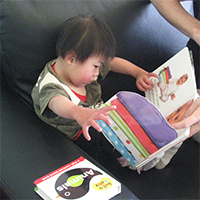 Moments in the "Room of Hope"
Kristiana enjoys reading a book that was donated by one of our generous sponsors. Hannah and Timothy are getting a lot of tummy-time practice thanks to the blankets from Dana and the playset from the Rohrer's fellowship. Hannah models her new dress from Valerie and Luke is way too busy crawling around and getting stronger to smile for the camera. The Nanny Project has begun! The last week in April we met the nanny candidates that the orphanage had found and chatted further with them and observed how they interacted with the children. 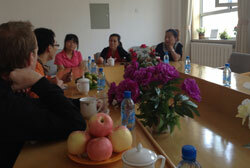 After discussion with the orphanage management we selected four women to be our first nannies. The ladies traveled to Beijing after the May Holiday for two weeks of observation and training. At the conclusion of the training program, we decided to let one of the nannies go, as she didn't seem to be the right fit. However, the other three began work on May 19th as we officially started the “Hope House” room inside the facilities of one of our local government orphanage partners. Things are going very well and, although there are still struggles and kinks to work out of the program, the children in our care are beginning to thrive. Philip, the oldest little guy in our room, learned his first sign language sign (“more”) on the first day... Luke mastered laughing out loud, Hannah started rolling over and Timothy has learned how to babble. This month has also been a busy one for education and therapy. Wendy and her team led an IEP (Individual Education Plan) training session with the education and therapy staff at the B orphanage. They spent a day assessing three children and then going over how to make universal goals that would enable the teachers and therapy staff to work more effectively and in a more integrated way with each child. 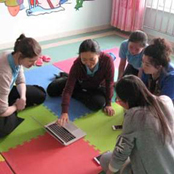 We also welcomed a team of therapists from Shanghai for two days of assessments and education with the therapists and children at the W orphanage. The knowledge that they were able to pass on was such a gift, and the group therapy session that they demonstrated was an inspiration to all of us. Everything is moving very quickly for all of us, and we are tired, but excited at what is being accomplished. 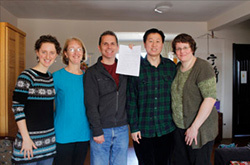 The meeting was held in a conference room, Brian and Hannah Samuels with John Gao on one side, and seven orphanage staff and management on the other. Director Zhao began the meeting. "We're here to talk about the nanny project," he began, "and honestly I wonder why we haven't had this meeting sooner. We should have begun this project long ago, back before it was so obvious that we needed it so much." We all nodded. Yes, the need was great, especially now. Two new babies had arrived in the last two days, and the three nannies were scrambling to care for over thirty children. Our meeting on April 16th went as well as it possibly could have and an agreement was signed. The nanny project will begin almost immediately, the first step being the search and hiring of four nannies to provide 24/7 care for four children. The orphanage has agreed to let us use one of itsrooms, and our plan is to hire four nannies at first to provide care for four children. We hope to expand during the summer to double and then triple our capacity. The orphanage is eager and we are ready. Our plan is to hire and train our first set of nannies in the beginning of May, and have the project running by the middle of the month. Sponsorship has already been opened for the four children in our care - three little boys and one girl. Please go here to read about them and sign up to sponsor them monthly! 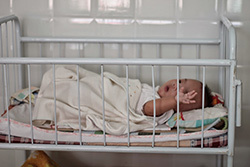 This month, we have continued to work with the W orphanage staff to assess the babies in their care. We have also assessed several of the older children. 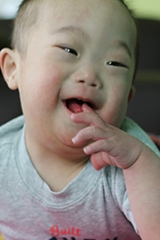 Many of the older children have more significant special needs and assessing them can take longer. But it's worth the effort, as we get the chance to understand them better and explore options for their therapy and care. Our formula project is going well although, with the addition of new children and the continued struggles of some weak babies, we have an equal number of children struggling and thriving. We are currently in discussion and preparation with New Day in Beijing and the orphanage leaders about the beginning of a "Mama Project" to help increase the staff to child ratio in the orphanage. At this date there are twenty-eight children with only three nannies caring for them. This is a huge need that we are hoping to help address as soon as possible. More details will be coming soon! The month of February has been full for us at New Day North. We continued our weekly visits to the W orphanage and were encouraged to see a few of the babies that we have been assessing make a lot of progress. 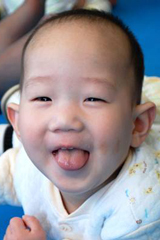 Chen, who was a very weak little baby when we first met him, has made the most progress. When we first assessed him he was very behind and progressing very slowly. After realizing how behind and weak he was, the therapists added him to their daily schedule and he has taken off! We are also excited to share the progress that the formula project has made. 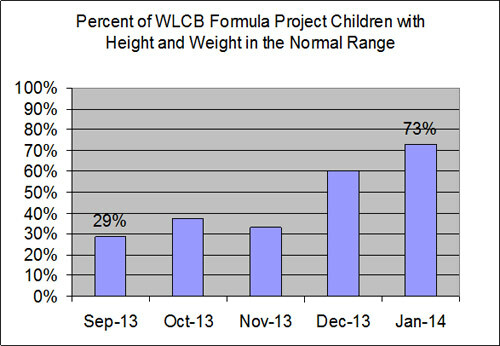 When we began, only 29% of the babies were in the "normal/healthy" range for height and weight. As of the end of January, that number had increased to 73%! We are working closely with the staff to help come up with a plan for the children who remain underweight. Our big event this month was a "Family Day" at the orphanage where the entire Olsen and Samuels families hosted a morning of English corners, and an afternoon of activities and games. The older children were still on break from school and had a lot of fun. After some English instruction, we taught the older girls how to knit and make bracelets, the guys got a lesson on magic tricks, and then we all went to the gym on campus for a concert followed by kick-ball. The sugar cookies were a hit too. The children really appreciated all of the fun and attention and hope that we can do something like this again. We do too! The New Day North team has continued to support several Inner Mongolia orphanages and see amazing transformations in the children. The team travels by train each week to local orphanages, helping the staff assess children developmentally and nutritionally, and providing training and guidance for their therapy and education programs. As the eager staff at these orphanages implement improvements, children’s lives are changing. 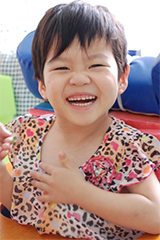 Weiwei is one of the children who has experienced a transformation. He was born blind and, though his caregivers knew he was smart, Weiwei spent his whole day either in bed or curled up in a corner, too scared of the dark world around him to discover it. He also refused any sort of food other than a bottle of milk. 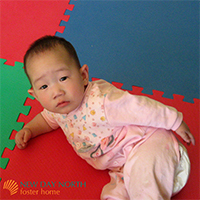 After five months of working with Weiwei's orphanage, giving advice to the staff and therapists, Weiwei is a totally different child. He is now able to walk with one hand held and participate in school and play with his friends. He has even been known to scoot his chair down the table to swipe cookies from other children. 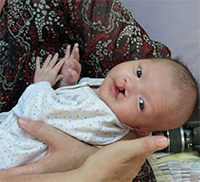 For Weiwei, the world has become much bigger and life much brighter because of the difference love has made. 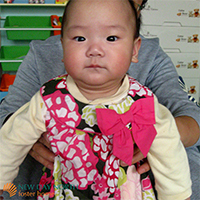 In late November, two therapists from our New Day facility in Beijing traveled up North to partner with us in reaching out to local orphanages. Our therapists, Zoey and Jenny, were warmly welcomed at the two orphanages and spent a week at each one. At each orphanage, Zoey and Jenny provided therapy-training sessions to the staff in the areas of Physical and Occupational therapy. In addition, they were able to give hands-on support and training with specific children whose therapy needs are especially challenging. As a result, the staff were inspired to help the children reach a higher potential, while receiving practical guidance about how to make this possible. One of the highlights of the training trips was that Jenny and Zoey were able to find and adjust positioning chairs and wheelchairs for the children suffering from cerebral palsy at one of the orphanages. Having properly equipped and sized chairs will make a huge difference in these children's lives! In another recent project, our New Day North personnel have been working with one of our orphanage partners to create a standard set of formula feeding guidelines for the babies in our formula project. 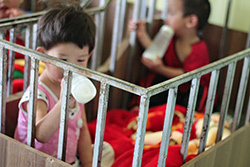 Maintaining proper feeding is critical for the development of these children, most of whom have special medical needs. We’re eager to see how our work with the orphanage to simplify and standardize feeding guidelines will lead to healthier and stronger children in the coming months. The New Day North team arrived in Inner Mongolia July 1st and since then we have all been busy establishing relationships with some local orphanages. September 17th our team went on their first visit to an orphanage about 2.5 hours away. The reception we received was incredible and, two weeks later, we sent a follow-up team to meet with our contact, and chat more about their needs and how we can help. There, our contact Sarah told us, "Setting our hearts on fire once a year is inspiring, but it doesn't last long. Please come often." The needs there are great, but the open doors and willing leaders, eager to make a difference, are exciting. We have continued our weekly visits to the WLCB orphanage and watched with amazement as they transformed their baby home. 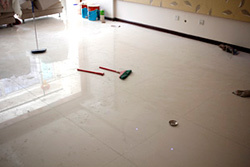 It started with new floors, followed by paint and new cribs. Thanks to some donations from some of our supporters in the US, we were able to inspire the orphanage with some equipment and toys. Since then, they have purchased some items on their own and the littlest babies are resting in a cheery and peaceful environment. In October we finished assessing all of the children in the baby home, and were excited to see the children begin preschool and therapy. Liang Qing, head therapist of WLCB, is always so eager for any advice we have. At our suggestion, two more positioning chairs were purchased, so now Xing, Xuan and Shan can each sit up for a good portion of the day. As environmental changes have occurred at the orphanage, spearheaded by two valiant managers who traveled to our Beijing facility for training over the summer, the children have changed too. The children are feeding themselves out of their own bowls, listening to music and getting to interact with toys for the first time. In an orphanage situation, it's hard for a nanny who is responsible for eight babies to make time in her busy schedule to interact with the children. No amount of training will create minutes in her day. However, showing by example how to coach a baby towards development will inspire. And inspiration creates time. The past three months have been full, sometimes frustrating yet always fulfilling. Thank you for all of your support. 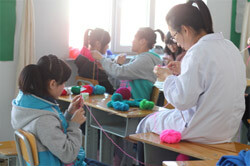 Our relationship with a local orphanage has continued to blossom. Multiple times in one week someone from our team is on the train to the orphanage, either to work in the baby room with the therapists, special education teachers and nannies or to run an English camp for 25 of the older children. During the last two weeks of the children's summer holiday Greg, Page, Ben and Harry led the English camp three days a week. 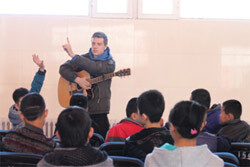 Twenty five children got English names, learned greetings and other simple and useful phrases. 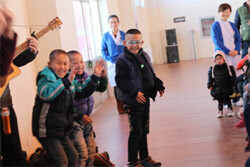 They also enjoyed playing games and music. We were happy to be able to pour into their lives for a short time and plan to return each Saturday to continue to help them improve in English. Wendy and Hannah have begun weekly trips to do assessments and training with the baby home managers. In the last three weeks they have assessed five children. The therapists are especially excited with the goal sheets we have produced as tools for their therapy sessions. A highlight of one of our trips was dusting off a forgotten positioning chair and donated wheelchair and showing the staff how to use them for two girls who struggle with cerebral palsy. 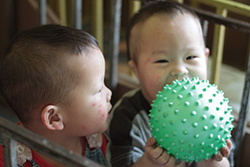 Xing and Xuan brightened and a caregiver commented with amazement, "These children are beyond my imagination!" We are eager to see what the next few weeks and months hold for our project. It is already going better than anticipated. Thank you all so much for your support! Already this month has been an important one for New Day North. After spending a few weeks getting settled in our new home, we took the train east to the Wulanchabu orphanage where we met NDFH nurse, Ellie, who helped assess the children for the formula project. Seven children have been added into the project and we look forward to watching them grow. Wednesday, August 7th, we visited again and chatted with the director about holding an English camp for their older children. Greg Olsen will be leading this and we are glad to be able to cultivate our relationship with the orphanage by meeting this need for them. We have plans to help the house manager and nannies with performing developmental assessments on a few of their children next week, and Wendy Samuels, a trained special education teacher, will be guiding the nannies and staff in how to do this. 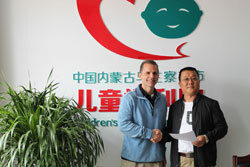 We look forward to helping provide the staff of the orphanage with the tools to help their children thrive. We are feeling incredibly blessed right now with the doors that have been opening for us and can't wait to see what's next! June 29, 2013 - Samuels family moves to Hohhot. See their commisioning service. 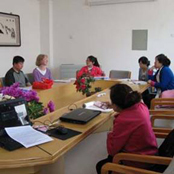 June 2013 – New Day staff families are moving to Hohhot! Two New Day Foster Home staff families have rented apartments in Hohhot to house their families, and should be living there by the end of this month. We are trusting that their location in the province will enable New Day North to have a great start developing relationships and setting the stage for future projects in Inner Mongolia. 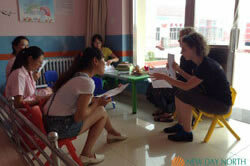 May 2013 – New Day staff families are moving to Hohhot! 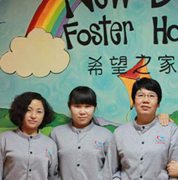 New Day Foster Home staff have already rented one apartment and are looking for a second, in order to house two staff families in the Inner Mongolia capital city of Hohhot. The families plan to relocate there by June in order to be best positioned for the expansion of our work in the province.